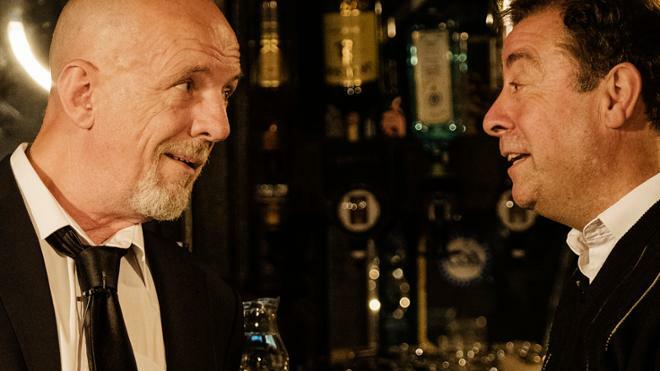 Abbey Theatre Ireland, "Two Pints"
Weather Alert: As of now, we are planning to move forward with the Wednesday performance of Abby Theatre Ireland's "Two Pints." We are monitoring the weather and will post any updates here. Two men meet for a pint. Pull up a stool and listen in as they chew the fat and set the world to rights. Irish novelist, dramatist, and screenwriter Roddy Doyle’s hilarious and provocative Two Pints started as a conversation on Facebook. Now it’s a play coming to Richmond’s favorite pub, Rare Olde Times. Known for his “tender portrayals of [Irish] working class families” (The Guardian), Doyle’s work has been awarded a Man Booker Prize, an Irish PEN Award, and a BAFTA Award — Best Adapted Screenplay for The Commitments. Join Rare Olde Times for a pre-show buffet beginning 1 hour and 45 minutes before each performance. Buffet reservations can be made as a here. A buffet menu is available here. Subscriber discount does not apply to meals. Buffet price includes tax and gratuity. Sponsored in part by RV World of Virginia.